You and Your Partner, Inc. is a guidebook for couples challenged by the complexities of their personal and business partnership. Whether in business or contemplating combined ventures together, it helps them better navigate through the dynamics of making it all work. 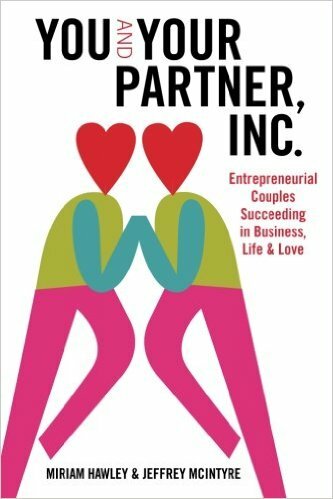 The co-authors, partners for more than 30 years in life and in business, have identified the seven key strategies used by successful entrepreneurial couples. These guidelines can offer personal learning opportunities to grow professionally while developing a deeper relationship with each other. The benefit can extend to families and friends, thereby widening circles of influence and social impact. Being in business with your spouse or significant other is a viable choice being made or considered by increasing numbers of couples. However, the balance needed to maintain success in all areas is a delicate one. You and Your Partner, Inc. has attempted to capture the complexities that span marriage, partnerships and family business. Highlighting real life situations, they offer discussions anyone can follow. Couples already working together will also find authentic examples of how to take their venture to a higher level of accomplishment. Jeffrey and Miriam interviewed 50 business couples with a variety of experiences whose stories illustrate how they have faced and overcome obstacles to create, build and sustain both their businesses and their marriages. Their insight offers inspiration into a new world of entrepreneurial living and loving.